Economist, Dr. Lord Mensah, has indicated that the banking sector challenges that culminated in the liquidation of some banks as a factor in the cedi’s current depreciation. He explained that the collapse of seven banks within a two-year period has shaken the confidence depositors who are now resorting to the use of foreign currencies like the dollar as a store of value. This, he said has driven up the demand for the foreign currencies at the expense of the cedi’s value. “Apart from the January cycle that we know of that the dollar shoots up during this period, we cannot overlook the happenings in the banking sector. “You see the Bank of Ghana is doing advert that people should bring their money the banks are safer now, it means they are having problems with liquidity…that means people are not trusting the system,” he said on nightly current affairs programme , PM Express on MultiTV, Wednesday. Selling currently at GHS5.3 to a dollar, the local currency’s performance is reaching new lows. The cedi’s year-to-date depreciation puts it among the worst-performing currencies in the emerging markets. The Bank of Ghana’s interbank exchange, as at February 1, shows the cedi had depreciated by 2.6 per cent against the US dollar, compared to the 0.1 per cent appreciation in the same period last year. Last year, the cedi depreciated by 8.4 per cent against the dollar in what the central bank attributed to the strengthening of the US dollar against currencies in emerging and other frontier markets. According to the central bank, the cedi’s performance against the greenback was better than how emerging currencies like the Indian Rupee, Turkish Lira, and South African Rand among others fared against the US dollar. But the cedi’s start to the year has weakened so much that its performance against the US dollar is among the worst compared to other emerging currencies, data from Bloomberg currencies have shown. Dr Mensah, a lecturer at the University of Ghana Business School, has advised the government to implement policies it promised to use to arrest the perennial cedi fall. “What we know about the 1D1F [One District One Factory] was that the private sector engagement was going to play a major role [in shoring up the cedi value] but are we seeing that as we speak? We are not. “So all these things happening now I can tell you that the long term plan in rescuing the cedi against the dollar is not in sight…” he said. 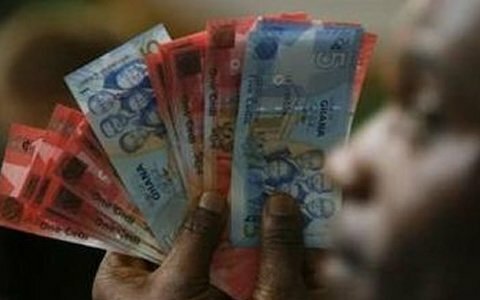 President of the Ghana Union of Traders Association (GUTA), Dr Joseph Obeng, wants the government to stop the flight of foreign currencies out the country by non-Ghanaian traders. ”Our economy is so much dominated by foreigners and we don’t have any retention...the supply of our forex how do we manage the demand aspect of it?,” he asked on PM Express. He referred to Chinese businessmen in Ghana “masters of the economy” and blamed the recent cedi challenges on the repatriation of dollars by the Chinese who were leaving to their countries to celebrate the Chinese New Year. “They [Chinese] were closing their accounts and they took a chunk of the dollars. Even if you are here and they supply [from China], they tell you to pay off your balance so that they close their accounts for the year. That is it,” he said.